Mia is excited to spend a month in China with her free-spirited aunt Lin (and her brother and mom), reconnecting with Chinese family and exploring the nearby areas. When an old acquaintance of her aunt’s comes around, asking odd questions about an ancient, missing treasure that he and her aunt used to search for, Mia is suspicious, and when her aunt goes missing the next day, Mia knows Lin is in danger. Fortunately, Mia’s got some clues about what might have happened, and her cleverness, paired with her brother’s reluctant but loyal help, helps her determine the location of the long sought after treasure and her missing aunt. There are a few too many lucky circumstances and discoveries that aid the kids, but they’re useful shortcuts toward a safe and satisfying conclusion for young readers, and there’s still plenty Mia must endure and uncover to make things right. 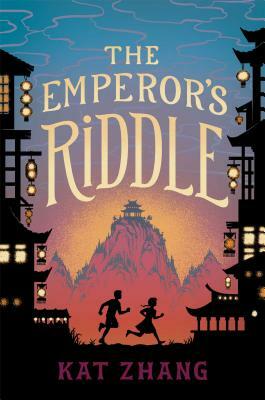 The Chinese landscape is carefully described, and lush, reverent passages about statues, temples, and cultural details sneak atmosphere into the fast-paced mystery adventure. A quiet note about what Mia has been underappreciating in her mother because of her adoration of her aunt is effectively made, and it will perhaps inspire readers to find hidden depths in those around them.